Since the dawn of crime, technology and law have managed to co-exist together almost entirely indifferently. Yet, as they say, all long periods of slumber and denial must come to an end. And for the legal world, technological apps hell-bent on increasing efficiency and destroying the businesses of all honest lever arch files salesman, have arrived to transform the profession and challenge its robust conservatism. Total investment in UK Lawtech firms has only just reached £16m, in comparison, Fintech generated £1.5bn in 2015-16 alone. But the market is still in the initial stages of development and is largely unexplored. 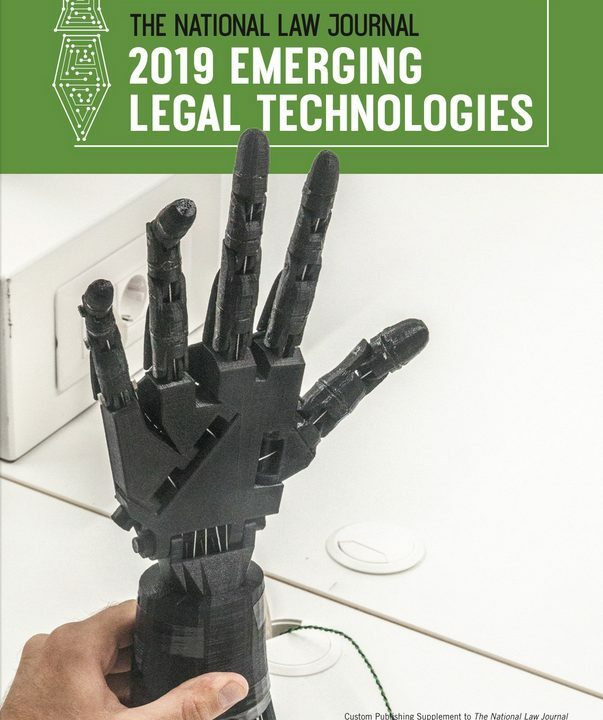 The expectancy however, given the UK’s legal services generate over £25bn annually, is that this is where the next tech drive is going to take place. Here are five of the early contenders attempting to disrupt the legal market. In May this year, the world’s best Go player lost to an AI machine for the first time. 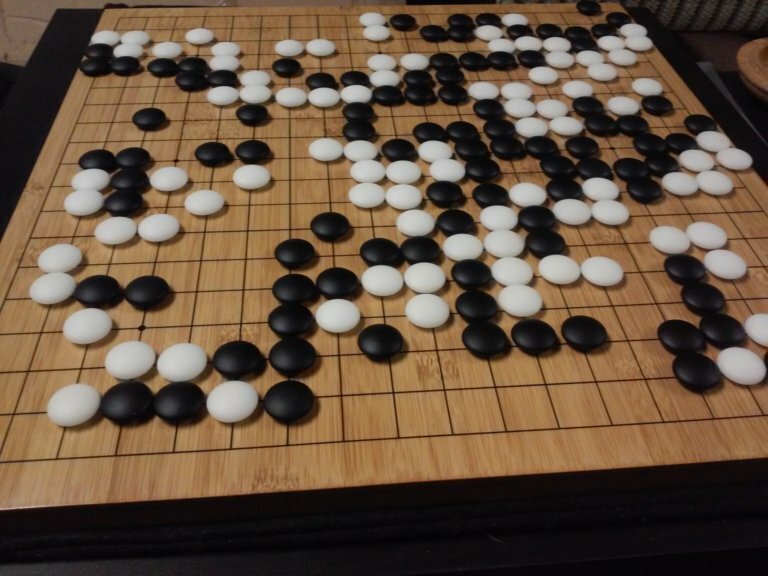 ‘Go’ is a hugely complex ancient strategy game where hundreds of years of received wisdom and intuition were believed to mean humans would always retain the edge over machine calculations. It’s different in that way to chess, where more than twenty years ago, IBM’s Deep Blue defeated world champion Kasparov in its first-ever game. For two decades since that defeat however, professional Go players had remained undefeated to technology. How then did they finally teach an AI machine to outthink the world’s best player? Well, in many ways, they didn’t. Instead of providing it with information about the game as had previously been the technique, they let the machine teach itself. AlphaGo played millions of games in the space of a few days and by correcting its every error, generated its own knowledge. It then baffled the world in its first game (over 100 million people tuned in) by producing moves unseen before, but which in hindsight, made perfect sense. 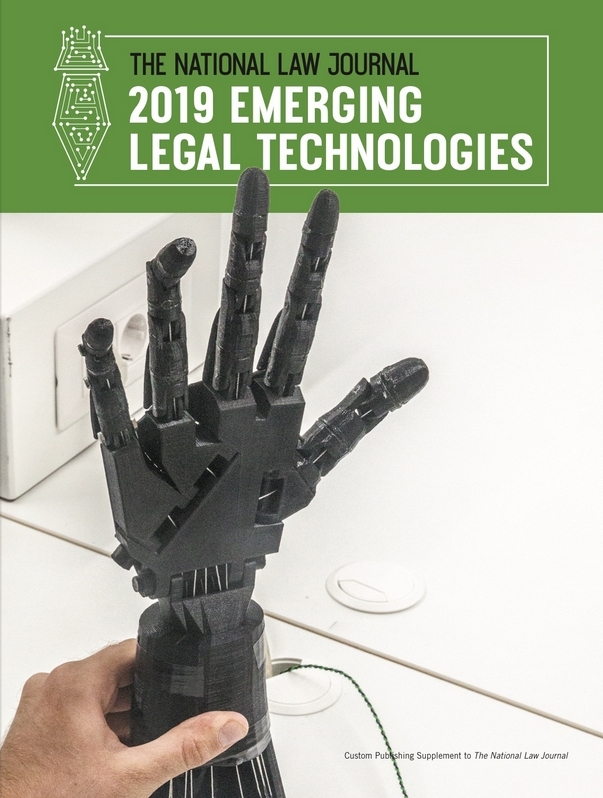 The development and potential of ideas like this outside of the realm of board games is what is captivating the legal world now and it’s not hard not to see why. What could happen if AI strategy games could be developed into legal strategy? Cambridge graduates were out to test this theory when they created CaseCrunch, an AI software that can predict legal decisions with high accuracy, and it appears, a higher accuracy than human lawyers. Lawyers from the leading law firms in the UK, including magic circle firm Allen & Overy, were asked to assess 800 historic insurance misselling claims in a week-long competition and predict the outcomes of the cases. The results? The database is gigantic and growing by 40,000 cases every day in the US alone. The slogan is you can “Select Your Lawyer on Data, Not Anecdote”. By entering your requirements into the database, the technology will return the lawyers with the best success. This includes who wins the most, who are the most hired and who are the proven losers that are continually re-hired. 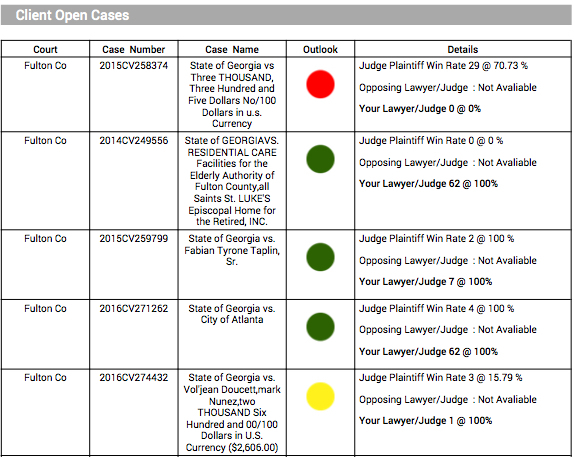 Hard to guess why lawyers have been resistant to technology, isn’t it? But it’s not all bad news, as the data alone is fascinating. 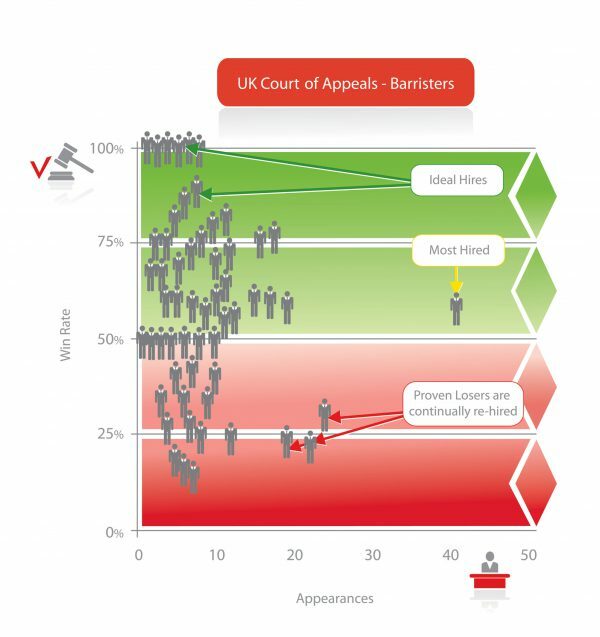 In Civil Appeals there is a barrister with 11 straight defendant wins, despite the fact, plaintiffs win 75% in UK courts. It also revealed Law firms select barristers 38% worse than random, and General Counsel’s 18% worse than random. Another UK legal tech start-up, Cognitiv+ applies artificial intelligence to the task of contract reading to background music of grateful cheers from training contract applicants everywhere. As legislation, contracts and new regulations continue to grow to sizes of the extreme, the argument in favour of this technology is that managing contract changes are going to become an increasingly impossible job for humans. The AI should be able to monitor changes in legislation and then compare its analysis to a company’s own contracts, flagging up potential conflicts or alerting its users to the important changes. The AI’s engine effectively automates contract analysis and management, offering businesses a way to stay on top of legal risks, contractual obligations and changing regulatory landscapes. Brexit has likely come along at exactly the right time for this startup, with new legislation and regulations likely to arrive in their droves in the next few years. While so much time is dedicated now to worrying about the next big cybersecurity attack, Check Recipient worries about what happens if a data leak is done from within, by mistake. The technology studies your emails and alerts the user when it believes an email has made its way to the wrong person, blocking the attempt and allowing the grateful and-still-in-a-job associate a second chance. There’s more to this idea than just potentially saving you from accidentally sending your boss your CV. 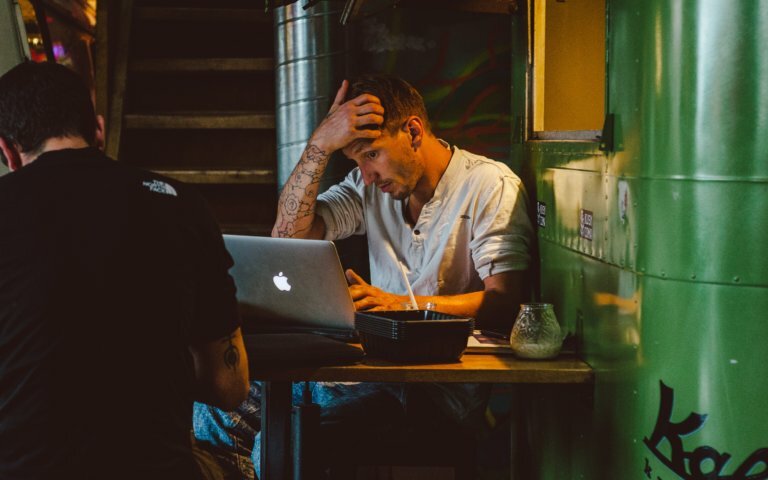 The future of data protection may mean the consequences of email misdirection will result in more than just social faux pas. EU regulations set to enter legislation in 2018 could mean mandatory reporting of data breaches and subsequent fines. A plethora of horror stories has entered the press recently regarding misdirected emails. From an HIV clinic accidentally releasing the names of its patients to a school in Australia sending its students a link to an “inappropriate adult website” instead of the intended annual breakfast event. Yet, closer to home, something as simple as sending the wrong email to an opponent or client when a legal case hangs in the balance would be mortifying enough. Check recipient has got that bit covered. 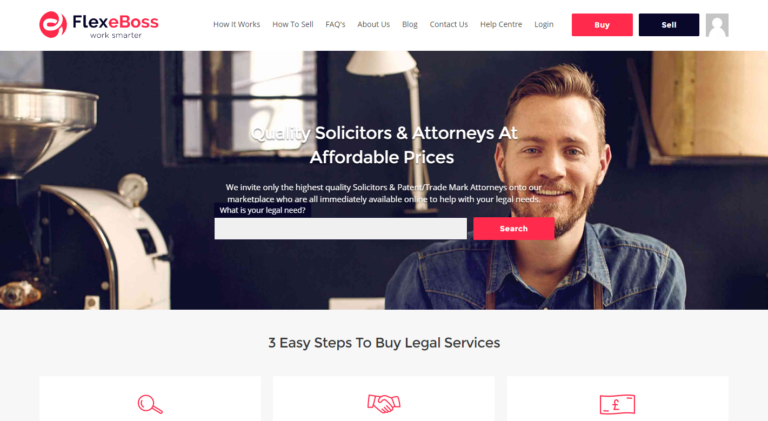 FlexeBoss.com is an online legal marketplace which enables people to search, select and interact with high quality, affordable (20% cheaper than the market rate), vetted UK solicitors to solve their legal issues. Lord Justice Jackson may not have been able to convince the profession of fixed costs outside of personal injury claims, but this app goes ahead and fixes them for you. You place the service in your shopping basket, send the documents the lawyer requests, and the Lawyer returns the work to you in the agreed timeframe. It’s a win for both sides, however, as Lawyers can also sell their services through the site. It functions a little like an Amazon for legal services and the potential for growth, as more lawyers become self-employed could be endless. It could be an interesting future for the legal trade should concepts like this become the preference of the consumer. It gives more certainty over cost and an online interface more familiar to the modern customer. Viva la legal revolution.